I'm back today with another card for the Coffee Lovers Blog Hop, this time I'm sharing a birthday card. 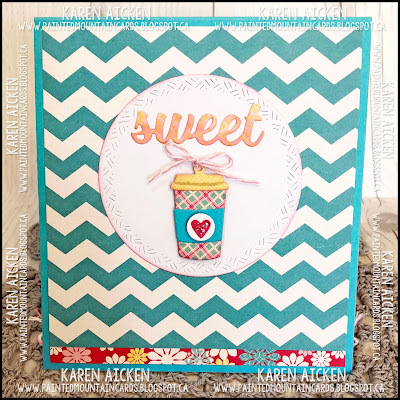 I added one of the new words from Karen Burniston's Word Set 6, which will be shipping next week. Karen Burniston Riley is a Super Sponsor for the Hop - there are lots of prizes to be won. 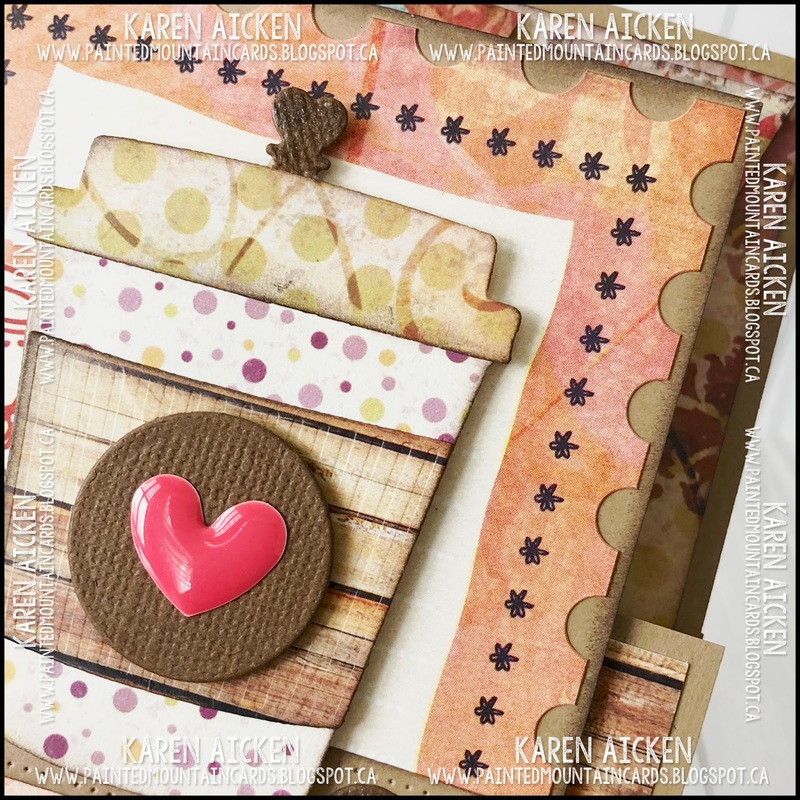 I also used one of her Coffee Charms, cut from cheery patterned paper. 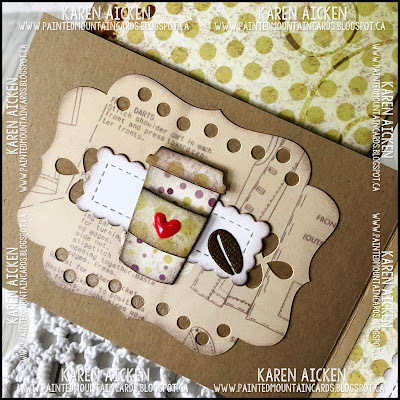 Inside I used the Cupcake Pop-Up die set ... who wouldn't love a sweet cupcake with their coffee on their birthday! I strung several more of the Coffee Charms across the top, and included a donut (from the new Sweet Treat Charms) as well. I guess if you are going for the cupcake, you may as well enjoy a donut as well and call it a day. Ha. 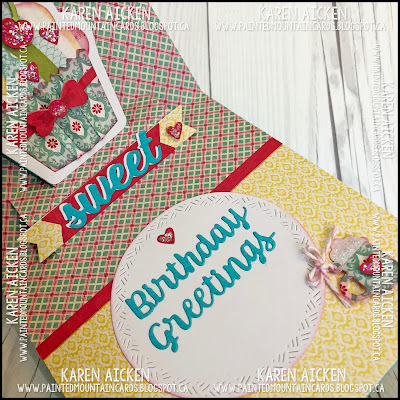 To get the 'Sweet Birthday Greetings', I combined 3 of the Word Set dies ... they combine so well! I also added another coffee charm to the greeting circle just for fun. I hope you are enjoying the HOP! Card size - 5 x 5-1/2"
Today I have another card for the Spring & Summer Coffee Lovers Blog Hop! This card was a lot of fun to make, and it is totally a stash buster card! There was a leftover piece of patterned paper and I wanted to use it up. In fact, everything used were scraps etc, inducing the twine bow and banner scraps. 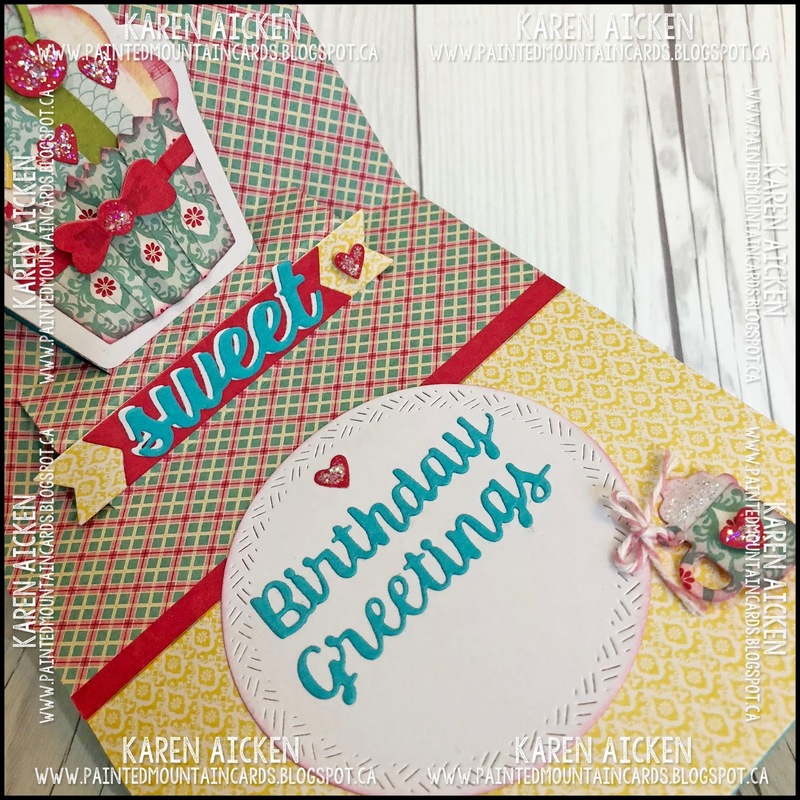 I added a die cut Celebrate - the font makes it easy to curve so I had it follow the line of the banners. 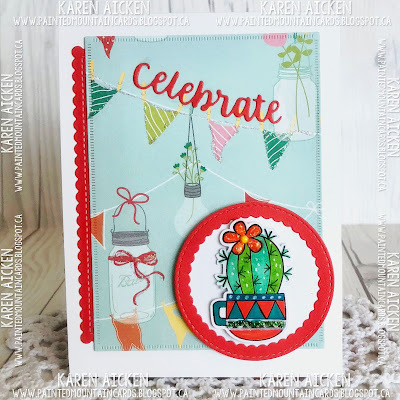 This red Soft Finish Card Stock from Elizabeth Craft Designs is so bright! 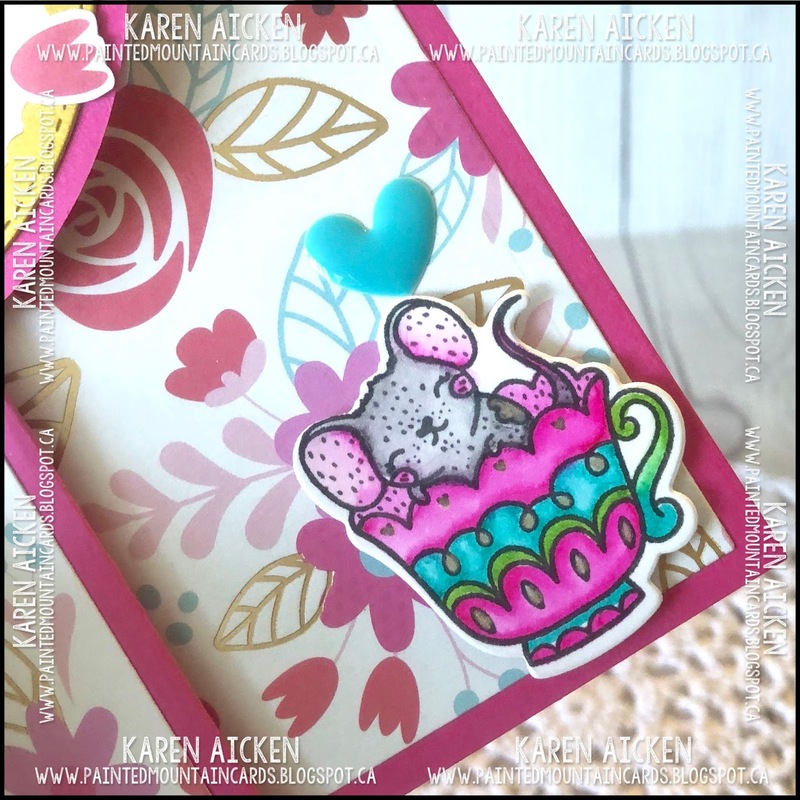 I've actually used it a fair bit as it perfectly matched a patterned paper stack I was also trying to use up. Love these 'cactus in a mug' stamps too. 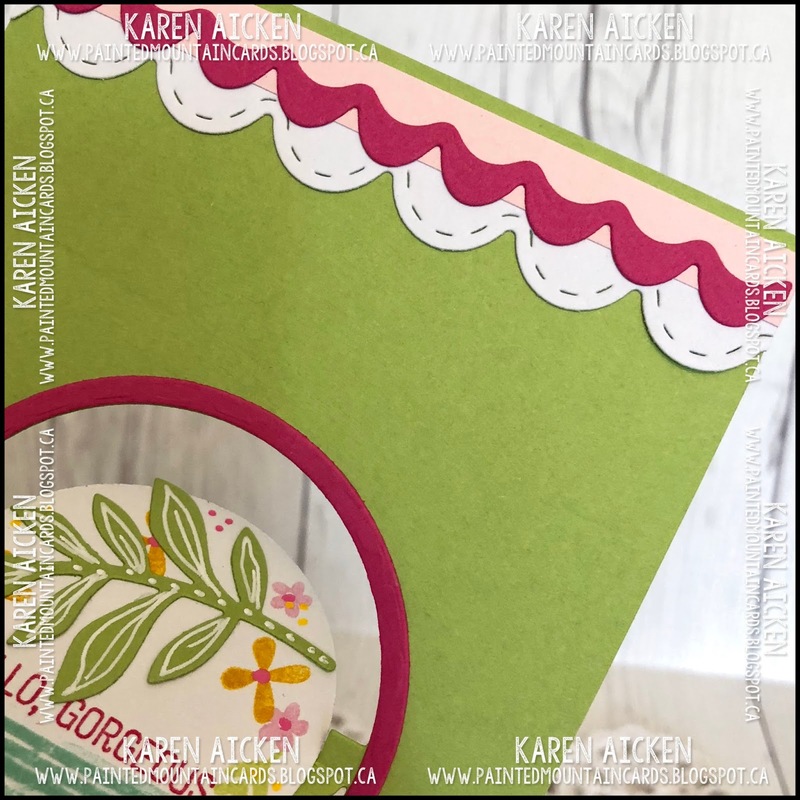 Inside I made a Pop-Up with another of my early Spring purchases, the Happy Birthday 3D Drop-ins by Stephanie Barnard. 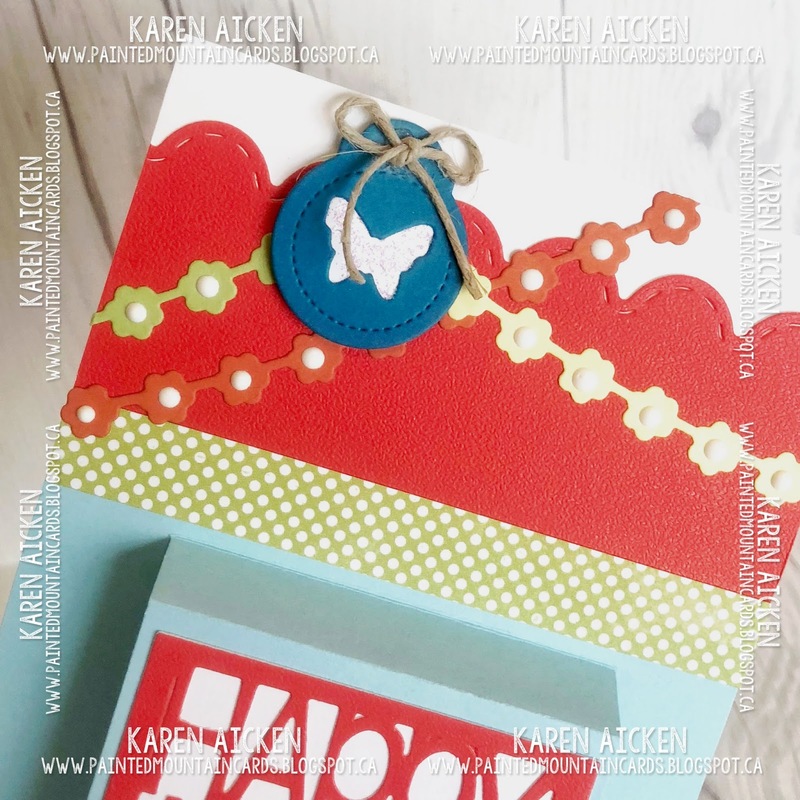 How cute is this butterfly tag? It was a 'free with purchase' treat and I just adore it. The banner patterned paper piece was also a 'free with purchase' from a different retailer. I love it and promptly ordered two more sheets. Ha! Yes, I am a marketers dream. The sweet banners were cut for a different project that I didn't end up needing - they were actually in a couple of smaller pieces but I pieced them at the top of my card and dressed them up with some Nuvo Crystal Drops. Finally, a side view so you can see the pop-up a little better. 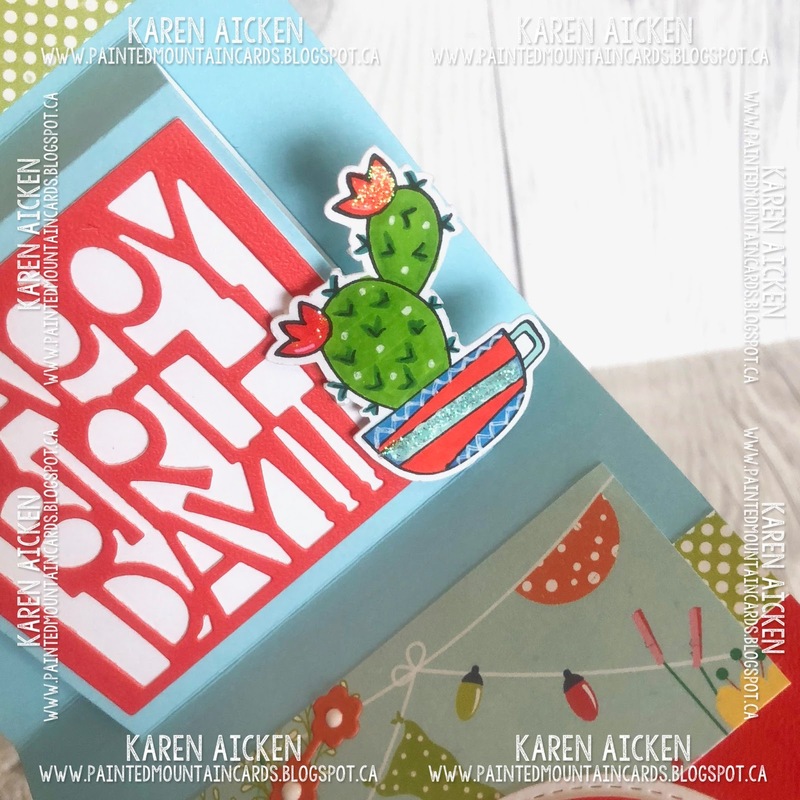 My stamping table looked so much better after this card was done and all those bits and pieces were used up. I love to use things up! 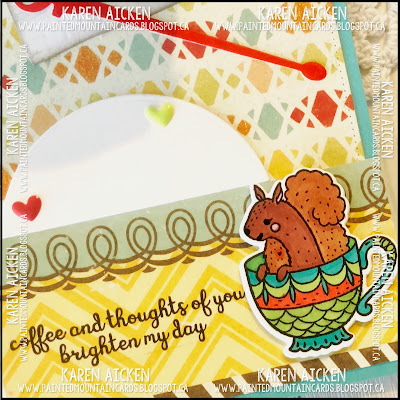 I'll be back tomorrow with another card for the Coffee Lover's Blog Hop ... and I hope you are enjoying the inspiration. 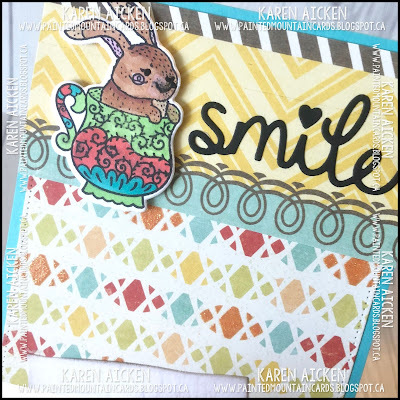 Butterfly Tag - Taylored Expressions (freebie with purchase)!!! 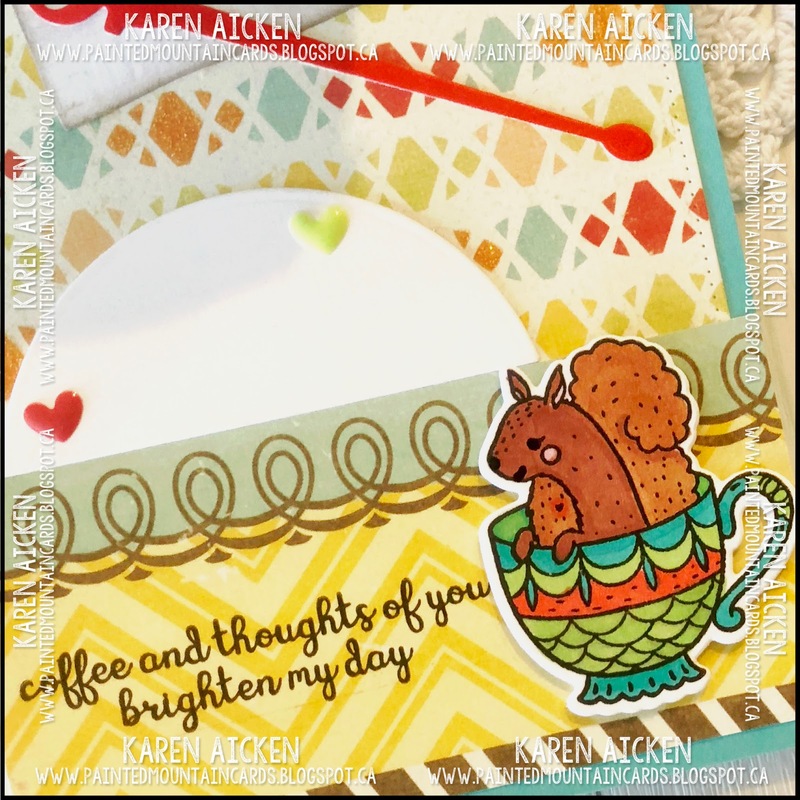 Today I'm sharing my fourth card for the Coffee Lover's Blog Hop. There has been a TON of inspiration - this is always such a fun hop. I was making our daughters some Teacher Thank You cards, so that is what this card is. In Alberta, the kids don't get out of school in May like they do in many parts of the US ... they go til at least the third week of June. I wanted to put THANKS on the card front, but didn't have a die big enough. 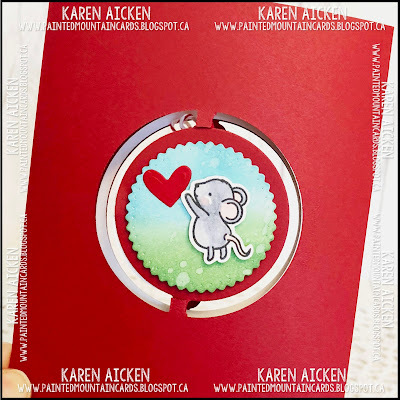 Instead I used Karen Burniston's new Alphabet die set - it's going to be so handy to customize a card! 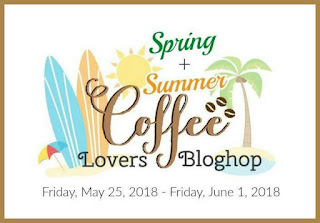 Karen Burniston Riley is a Super Sponsor of the Coffee Lover's Blog Hop! Yup - there are lots of prizes to be won as you are hopping around. I also added a sweet little To Go coffee cup from the Coffee Charms set. I love the floral lid on the To Go cup ... it was a scrap of paper leftover from a different card, but so pretty I had hung onto it for a bit. It is double sided, with the floral on the front and the brown & white print on the back. 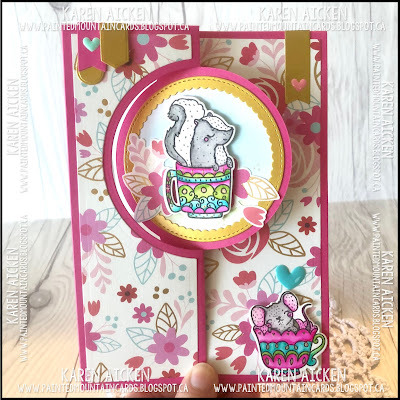 I was able to use up the whole scrap for this card using both patterns! Gotta love that. 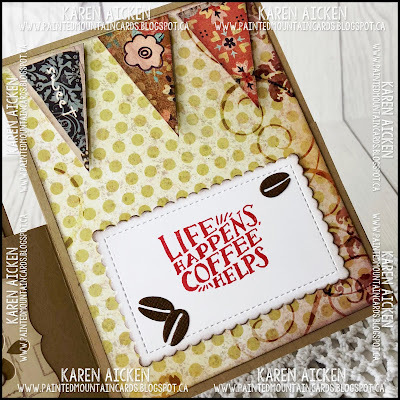 The Coffee Cup Pop-Up cuts slits for you to insert a gift card if you wish. 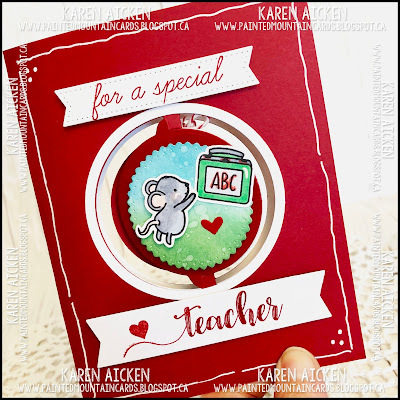 Because our daughter wanted this for a teacher thank you and wanted to include a Tim Horton's gift card, I photographed the card with my printed gift card. Such a true sentiment for sure. There is room for the kids to sign their name on the white crosshatch rectangle, and I popped up the A+ with foam tape. I was careful to check for catch points before adhering it down though. Our daughter was thrilled with the card, and I know the teacher that receives this will also be happy. I love that I can customize a card for someone specific and it won't be like any of the other cards they receive. 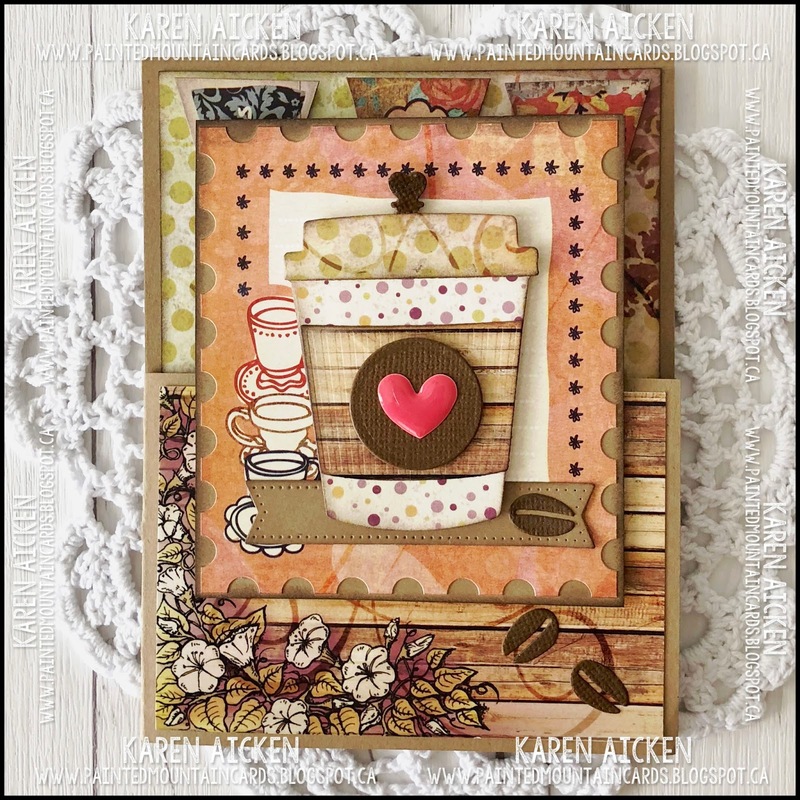 I'm back with my third card for the Coffee Lovers Blog Hop and today's card uses Karen Burniston's Coffee Cup Pop-Up die set. For my card front I used a sweet Pink & Main stamp (as I did with my first card for the hop) and an older die from Paper Smooches. I kept the front nice and simple as all the fun is on the inside. Inside I used Karen Burniston's (who is a Super Sponsor for the Hop) Coffee Cup Pop-Up and a few more stamped critters & cups. There are over 80 sponsors and lots of chances to win a prize. 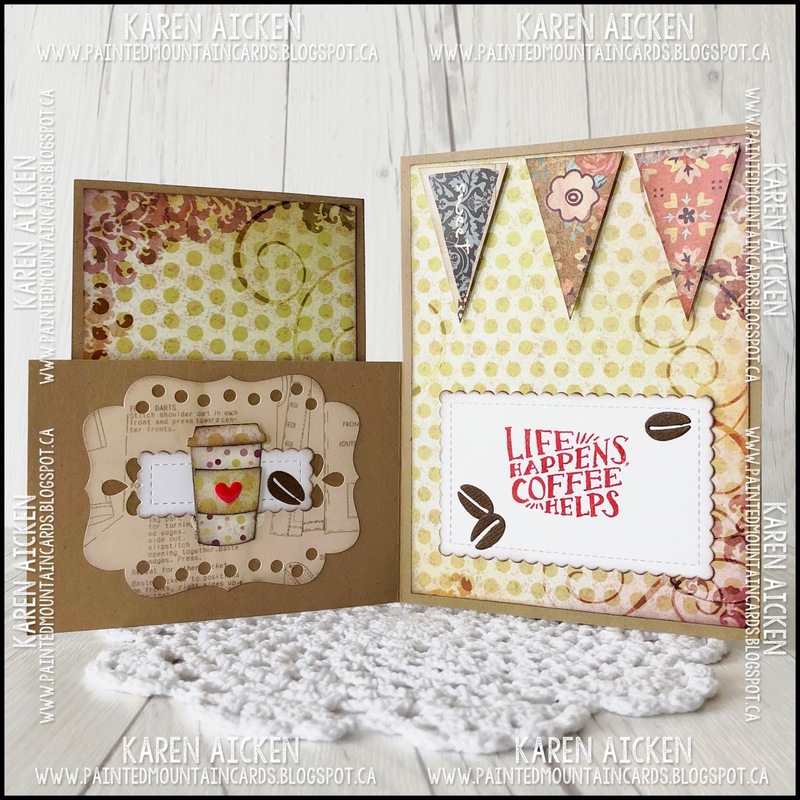 Not to mention all the fabulous coffee themed inspiration! There is SO much dimension with the Coffee Cup Pop-Up! The cup has slots at the back to hold a gift card but I didn't use them for this one. 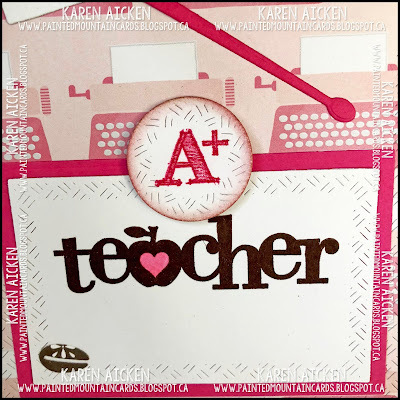 I did for a teacher thank you card though, that I will be sharing later this week. Had a bit of trouble with my black glaze pen bleeding - apparently I didn't wait until the water coloured images were dry enough. Lesson learned! 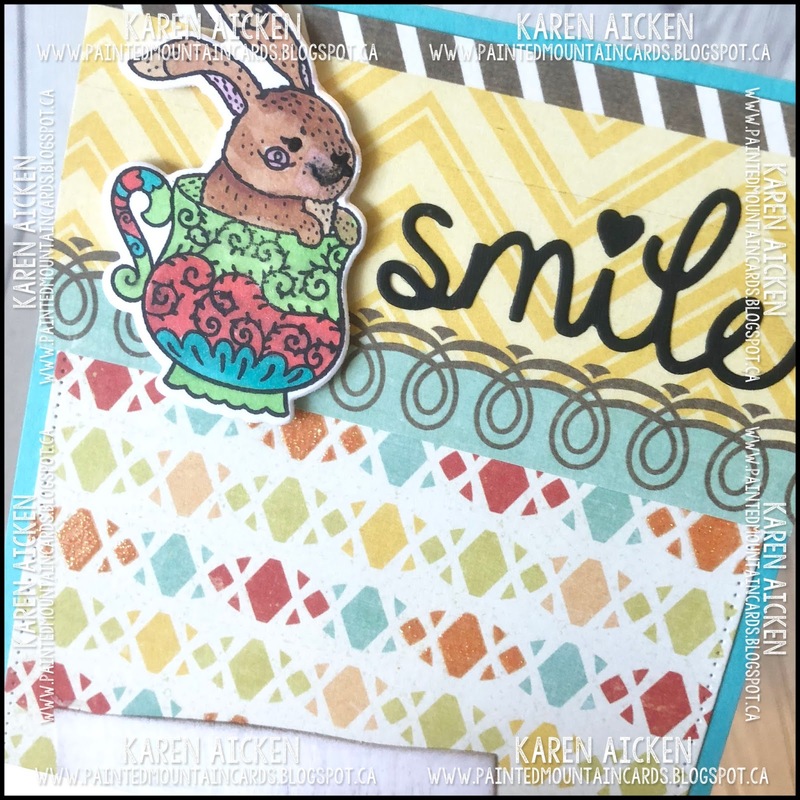 Have fun hopping and enjoying all the inspiration! ***EDITED TO ADD: Since I didn't hear from the first prize winner, I chose another name this morning. 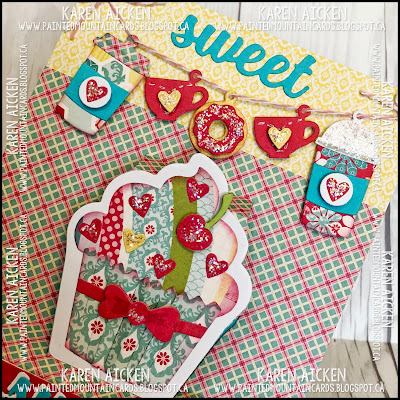 Betty B - you are the lucky winner of a Cupcake Pop-Up die set from Karen Burniston. Please email me so I can get your address to send to Karen B. Congratulations!!! I'm back today with my second card for the Coffee Lovers Blog Hop and this time I made a Dutch Door card. 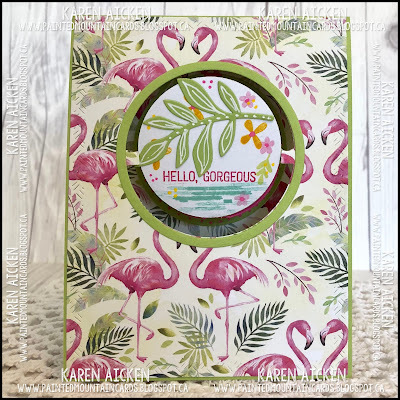 There is more than one way to make a Dutch Door card - so I just sort of did my own thing using a bunch of older stickers from my stash. 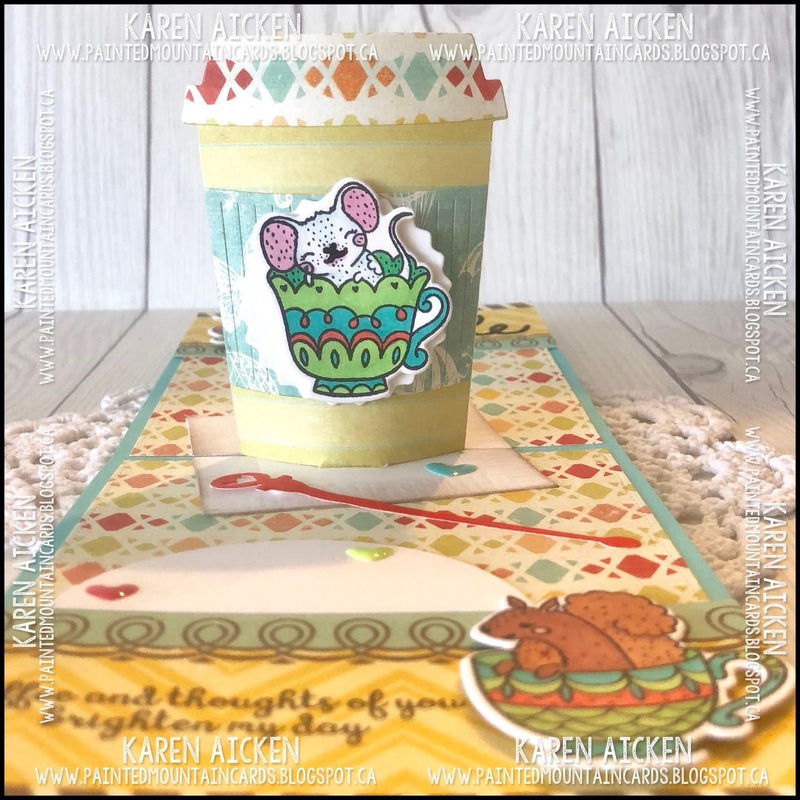 I added a die cut To Go Coffee Cup and an enamel heart sticker as the focal image. Inside I added a smaller To Go cup using Karen Burniston's Coffee Charms, and the coffee bean dies are from the Coffee Cup Pop-Up die set. 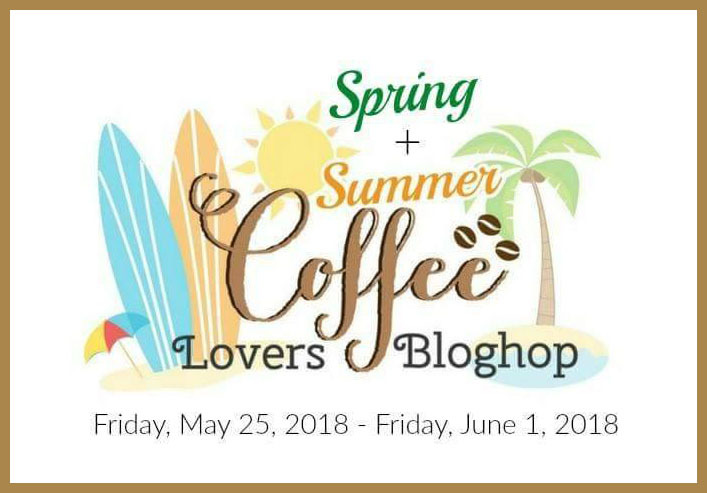 I hope you will check out the blog hop - there is a ton of inspiration!! 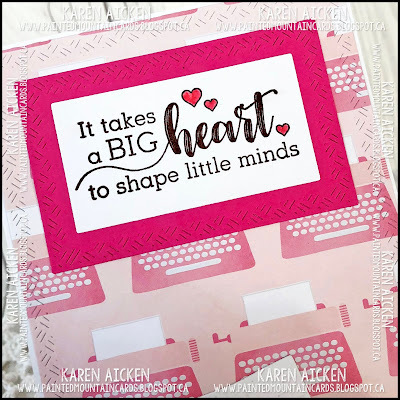 Amy's challenge this week is "Since there are many graduations going on around the world at this time of the year, the theme for this week is to make a "Graduation" card." 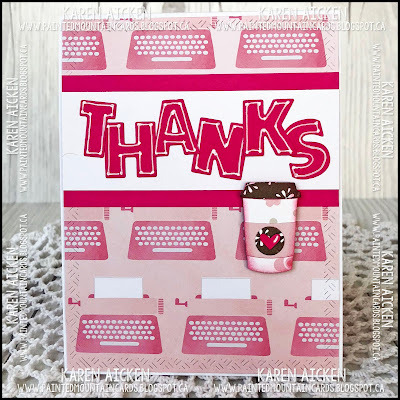 I don't have a need for a graduation card, but did want to make our daughters some Teacher Thank You cards for our daughters to give the grands' teachers. So that is what I did for the challenge! 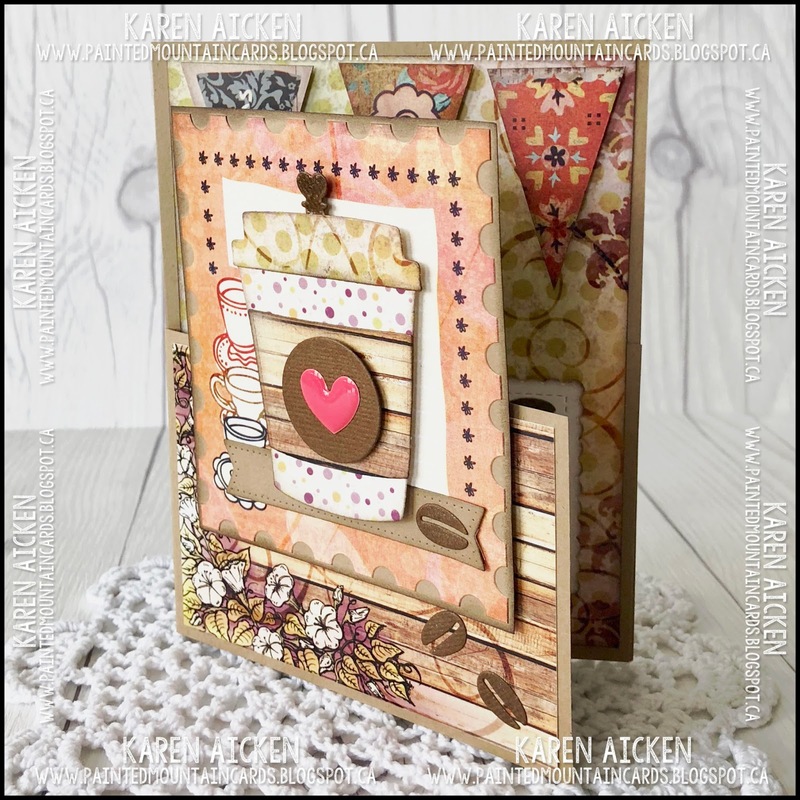 My card today uses one of Karen Burniston's new releases - the Circle Charm Pop-Up. I have used this die set a couple of times already, and and for this one I cut a double Circle Charm so both the front and the back pivot to the inside as the card is opened. 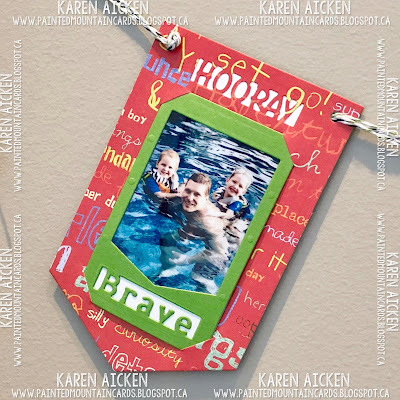 I added a stamped apple to the charm frame that is adhered in-between the pivoting circles. The apple was stamped and cut twice, sandwiching bakers twine in between them. Finally, a look at the card from the top and below that the view of the back with the card closed. Check out the C4C blog to see how the Crazies have been inspired by the challenge. 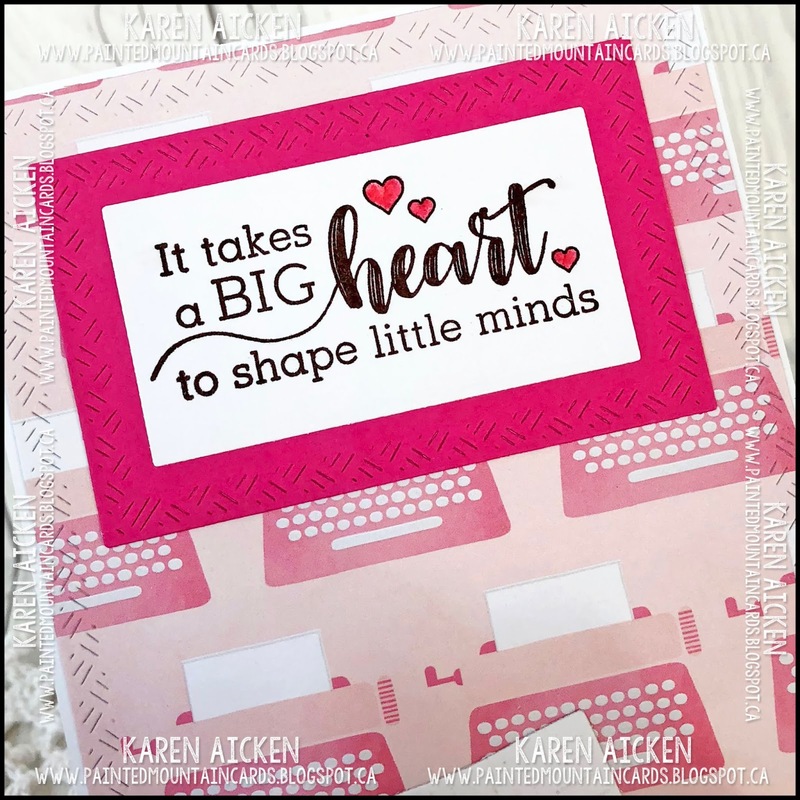 We'd love to see your take on it, so be sure to stop by the Crazy 4 Challenges blog and link up your creations. If you are uploading to an online gallery, please use the keyword C4C435. 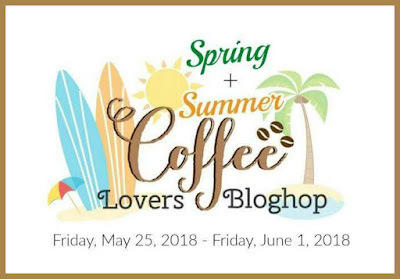 Today is the start of the Spring & Summer Coffee Lover's Blog Hop and I've been able to make several coffee themed cards to share for the hop. 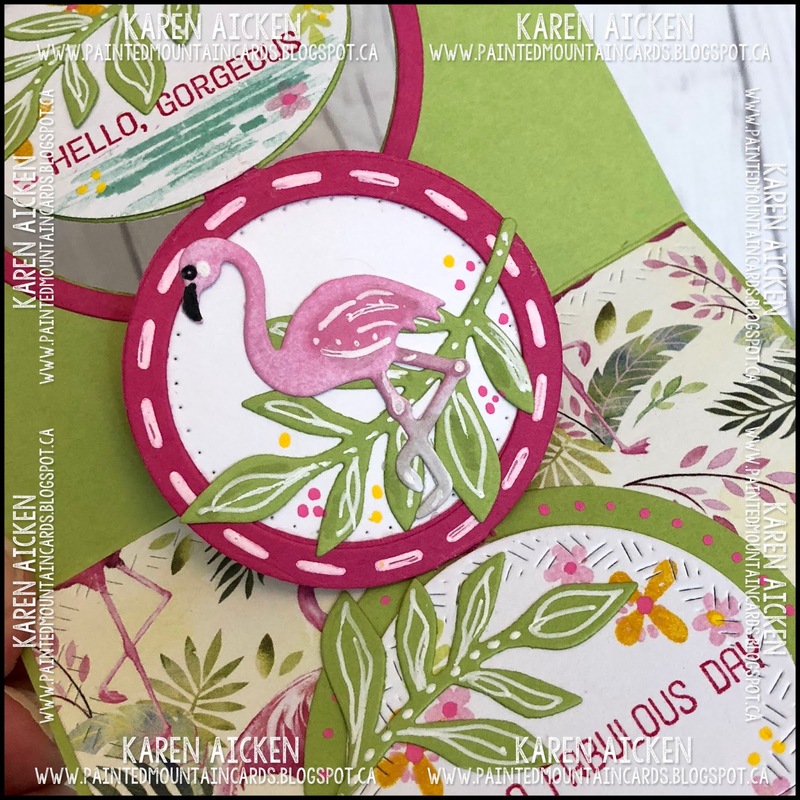 This is the first one, a 5 x 7" Circle Flip-Its for Flip-It Friday here on my blog. 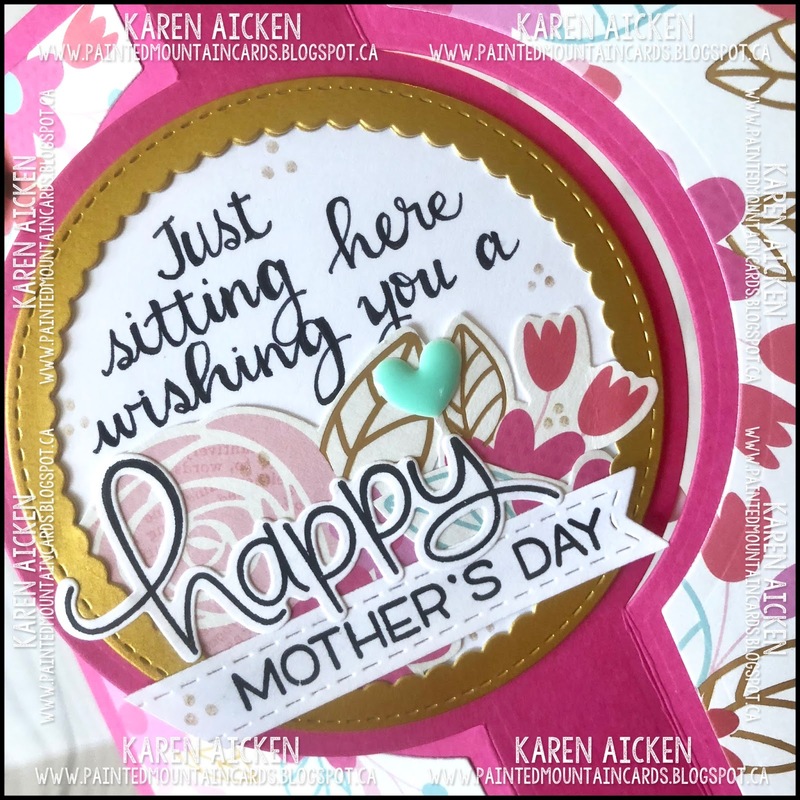 The stamp set I chose is called "Perfect Blend" by Pink & Main and this was the card I made for my Mother In Law for Mother's Day. 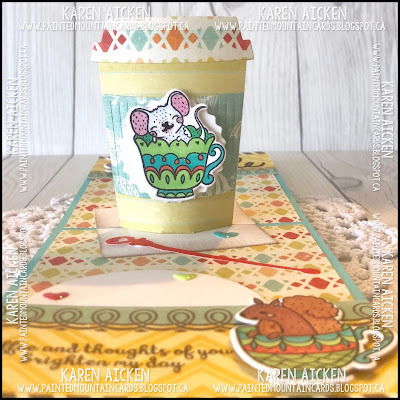 I knew she would like the little critters in their pretty cups. The flowers were fussy cut from a scrap of the patterned paper and added behind the focal image, and I added a gold foil scalloped frame to pick up the gold foil bits in the patterned paper. 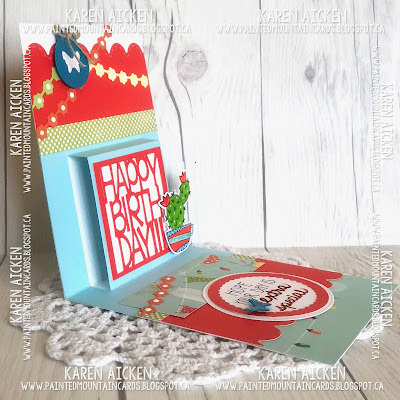 Today I'm sharing another card made with Karen Burniston's newest release and this one features the Circle Charm Pop-Up. 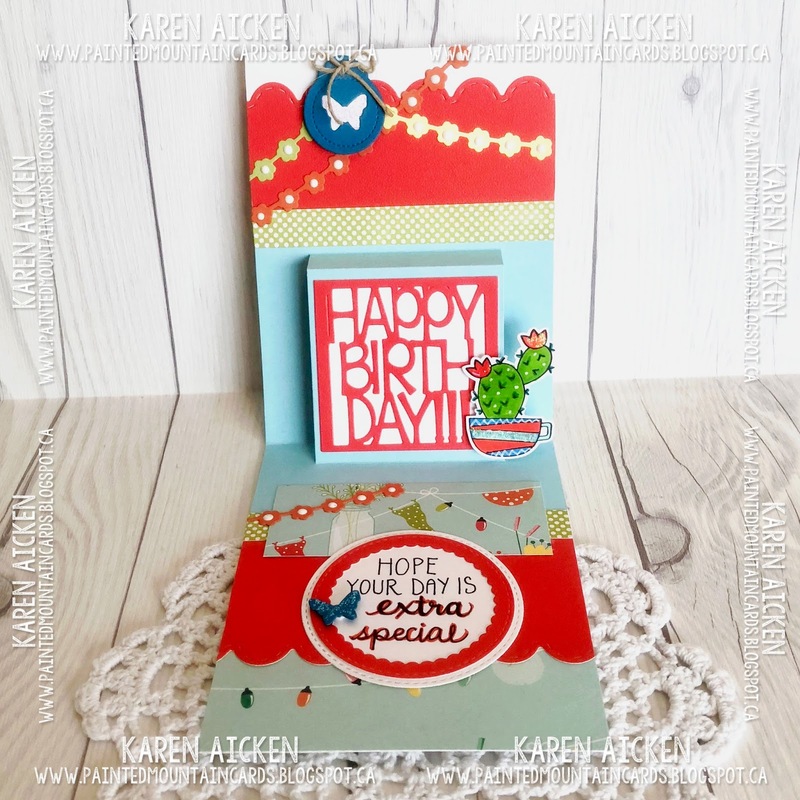 I have made several cards with this die set, and have made it differently each time - it's such a versatile set!!! For this one I made a top fold card. 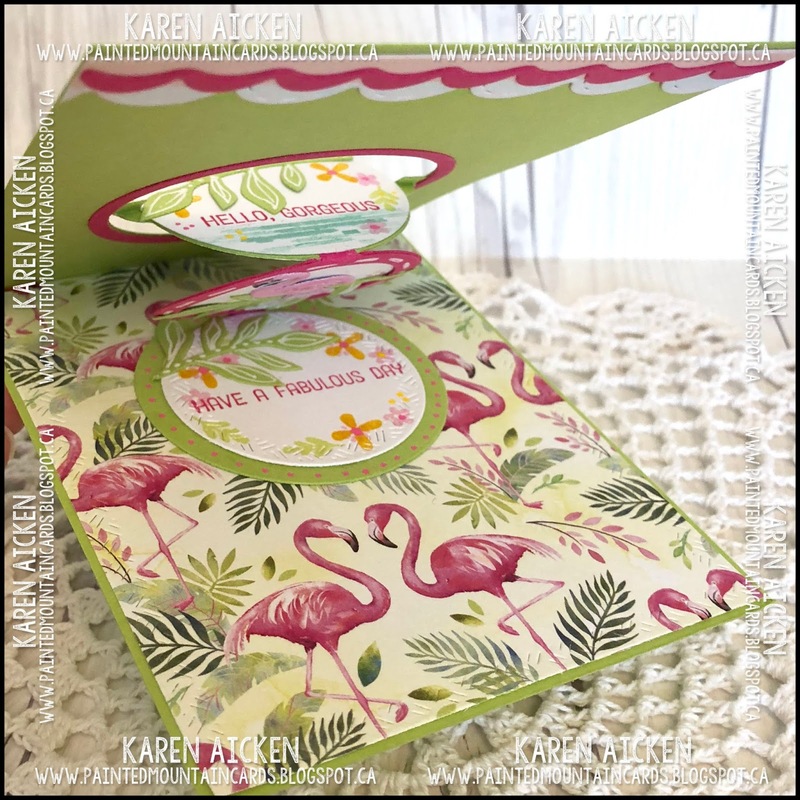 Below you can see the card opening, and how the design on the front of the card pivots from the front to the inside. 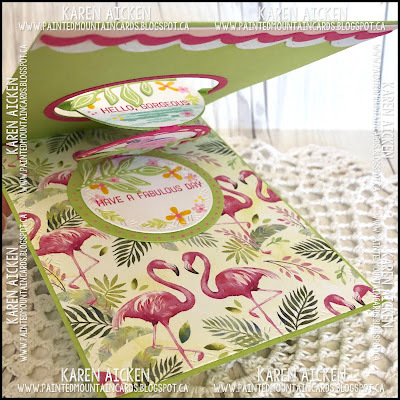 Back in February, I'd been craving tropical colours and patterns so picked up this paper pad. I'm so glad I did, as it is going to work perfectly with this release! Ta Da ... here is the card fully open. One of the cool things about this card, is that you don't need a backing card so it can be done with just a single piece of card stock. This centre section is actually a frame meant to dangle a charm from. 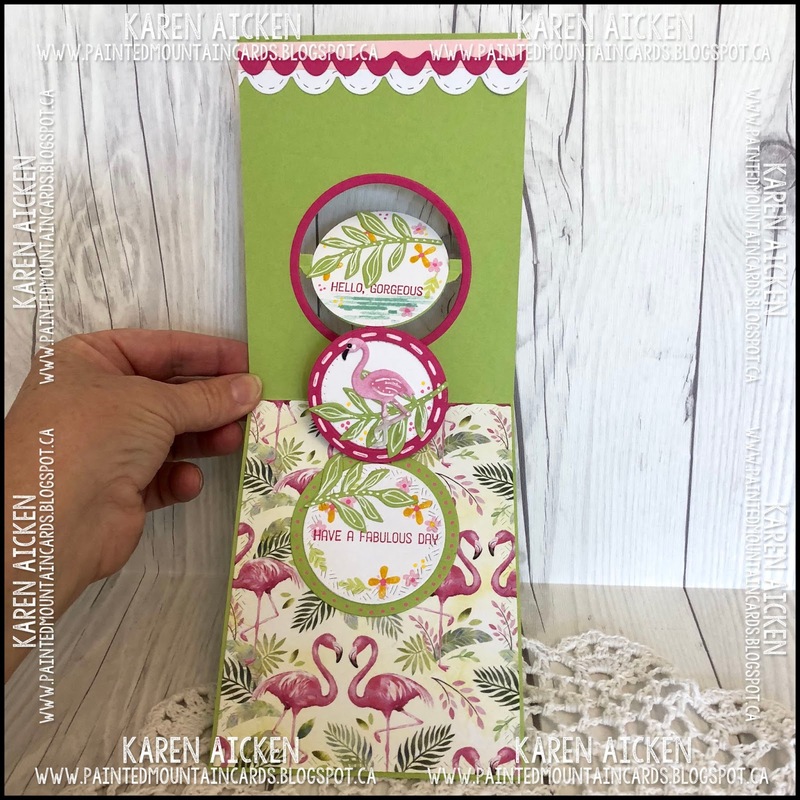 Instead I added a backing circle and adhered the flamingo charm to it with a leafy branch from the Flowers & Bee set. I just snipped off the hanging hole from the flamingo, then added details with a white gel pen and a black marker. 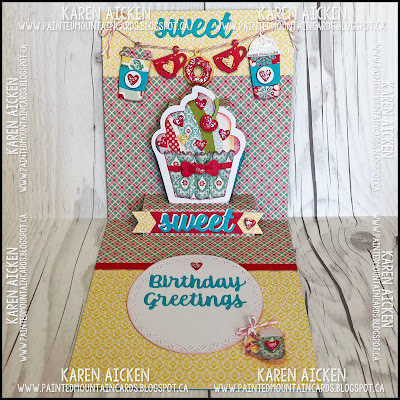 The Cake Trims work well on top fold cards - just another way to use your dies. 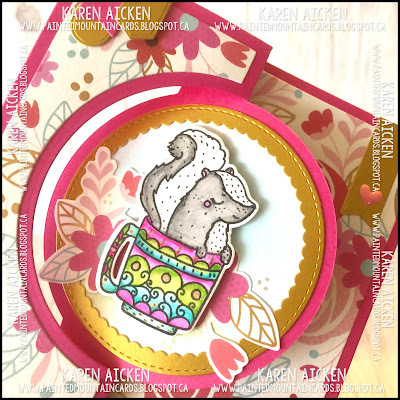 Remember to leave me a comment on my Blog Hop collaboration card (see HERE) for a chance to win a Cupcake Pop-Up die! I'll be drawing a name for the prize at 10pm tonight (MST) or as close to it as I can, and will post the winner in my blog post tomorrow morning. 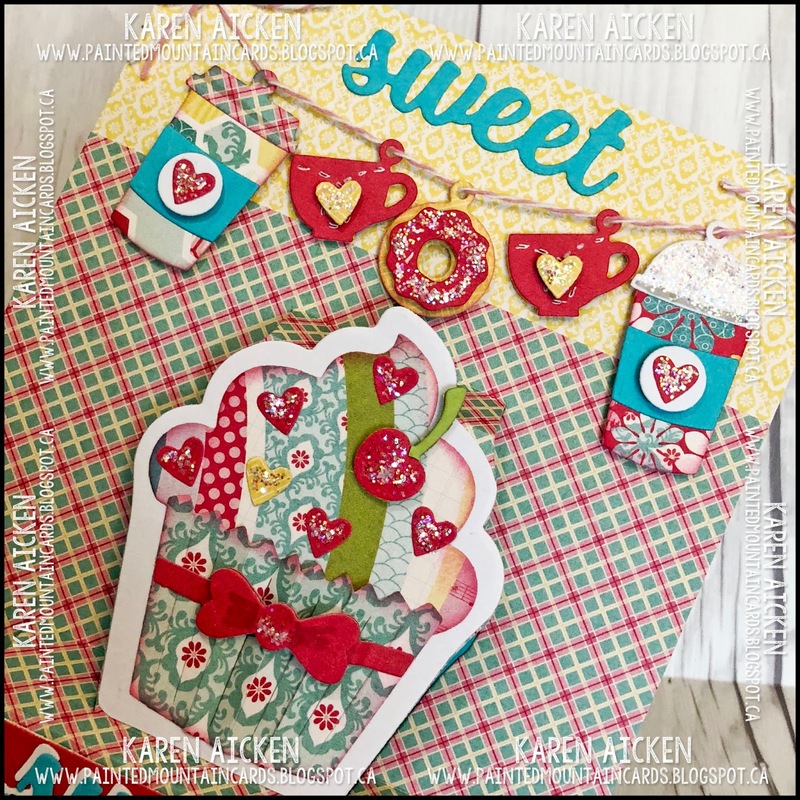 One of the die sets that was on my Wish List was the Photo Banner die by Lynda Kanase. 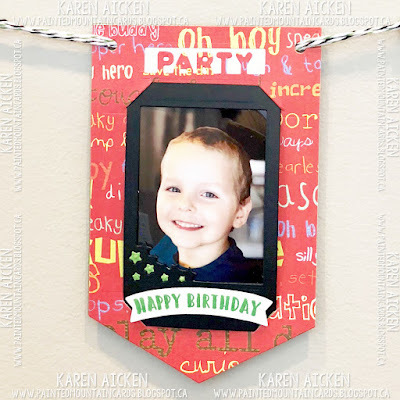 I was able to purchase it this Spring, and used it here to make a photo banner for our Grandson Zachary's birthday. 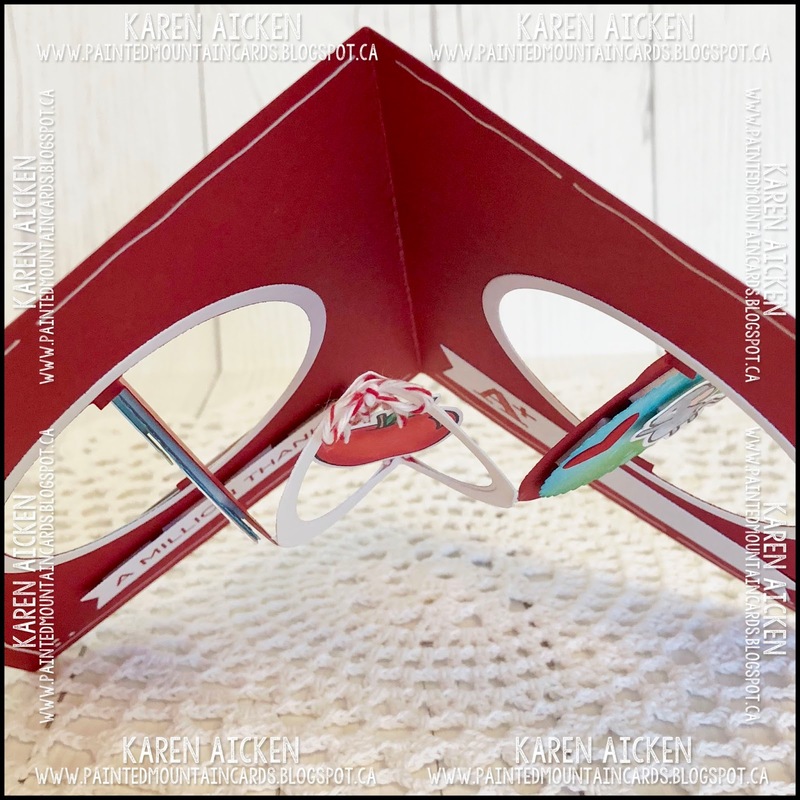 The die set is so cool - it cuts the slits that fit an Instax Photo perfectly, and there are also slits to tuck your twine or ribbon into so you don't have to try to thread it. 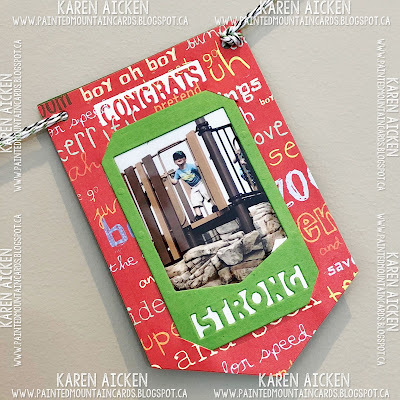 For my banner here I also die cut words from Lynda's Photo Frame, Celebrate and Photo Frame, I AM Phrases in both the banner and the die cut frames. This first one says BRAVE, because Zachary actually let go of his dad, or the side of the pool and floated on his own. He was wearing a life jacket anyhow, but was too terrified to believe it would hold him up. When he finally realized it would, he was so happy and really enjoyed the pool then. It took a lot for him to 'let go' - and we told him how brave he was. Whenever I take a photo of Zachary, he always asks to see it right away. He liked this one so I thought it would be perfect for the centre of his little banner. 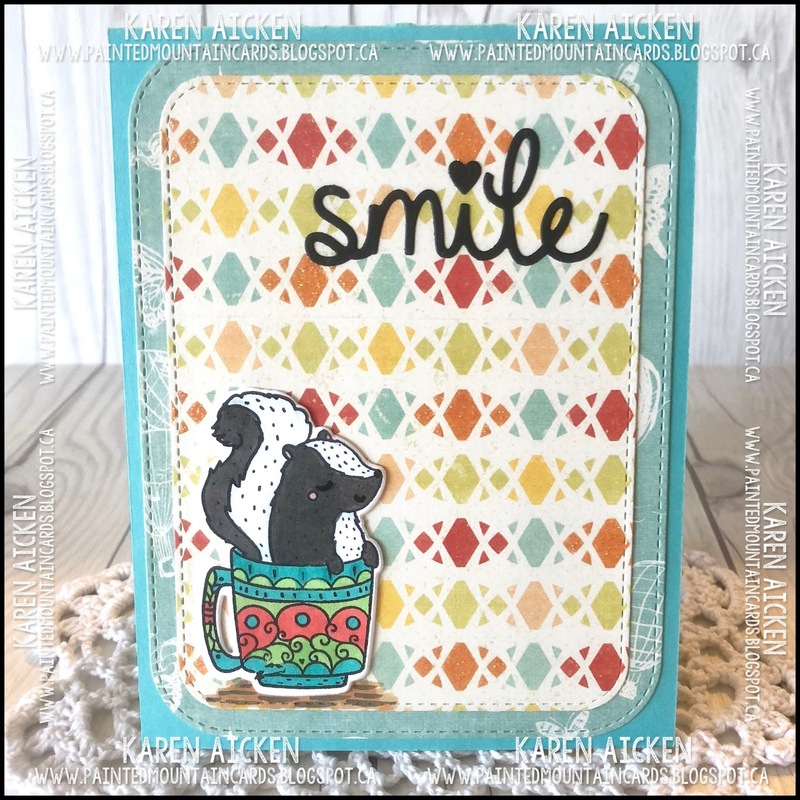 I cut the bottom left corner of the frame again from green, then inlaid the green stars into the coordinating openings on the black frame, then added the stamped and die cut banner with foam tape. Below is Zachary at the playground - he is like a little mountain goat and so strong! I loved being able to personalize each of the banner pieces just for him, using special photos and his favourite colours (black and green). 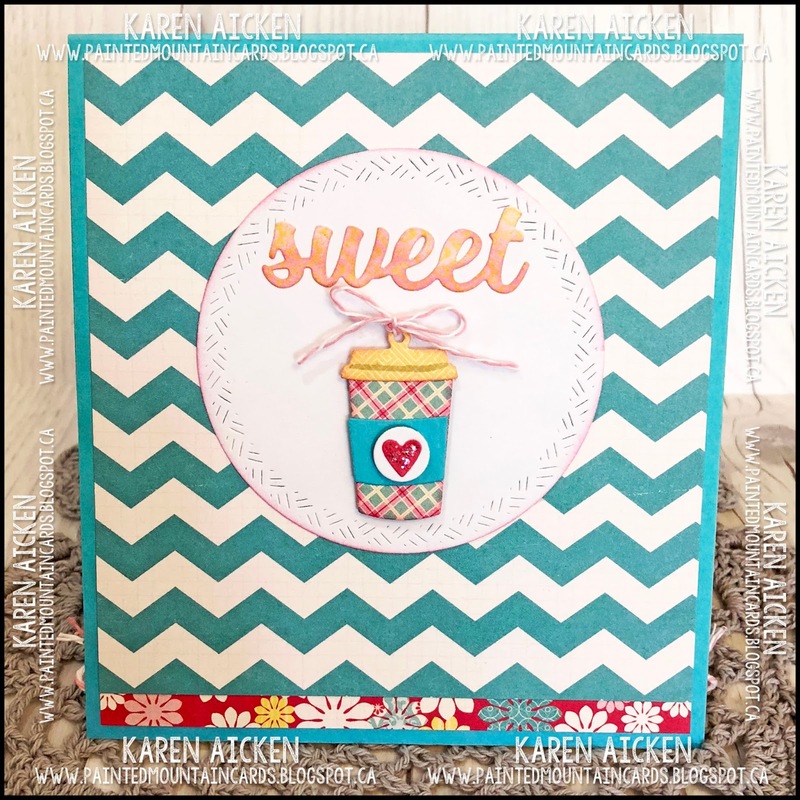 I backed each banner piece with another banner die cut from green card stock, which made it nice and sturdy. 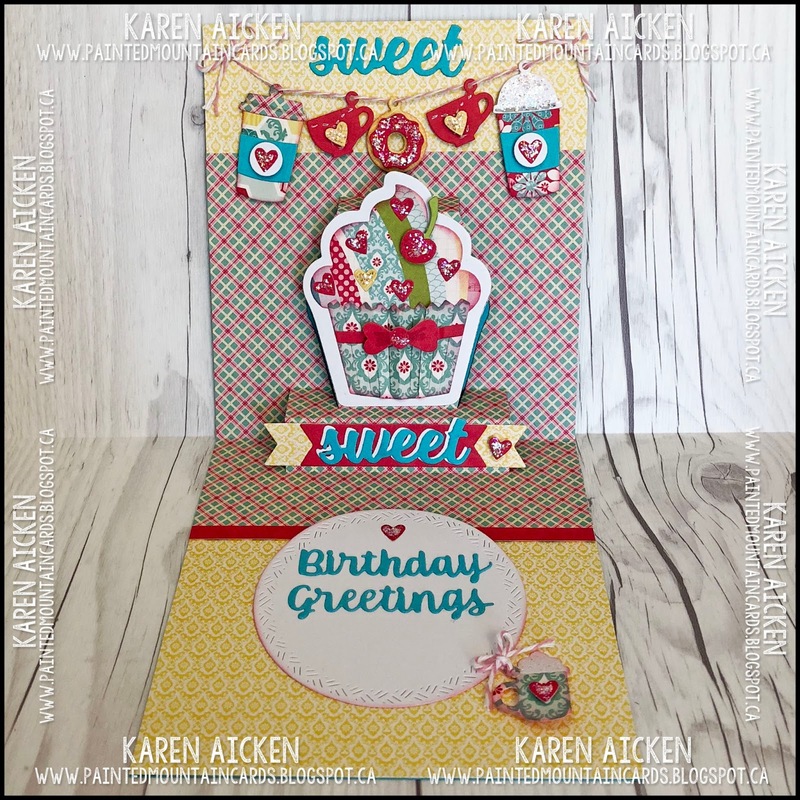 I chose not to add many decorations to the two non photo banners, since the patterned paper had nice foiled bits that caught the light. 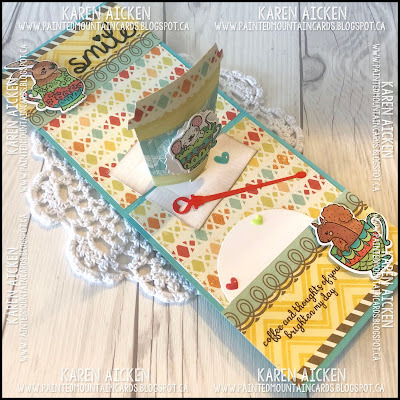 The stitched squares were sitting on my stamping table, leftover from a different project so I added the numbers to them then layered them onto the banner with foam tape. The photos in their frames are removable from the banner, when Zachary is done with it, so he can have these photos to enjoy. 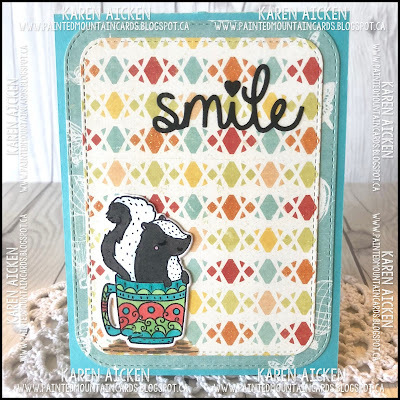 All the words and designs from all of Lynda Kanase's Picture This Collection work well together and are interchangeable. That makes it so easy to customize your frames! 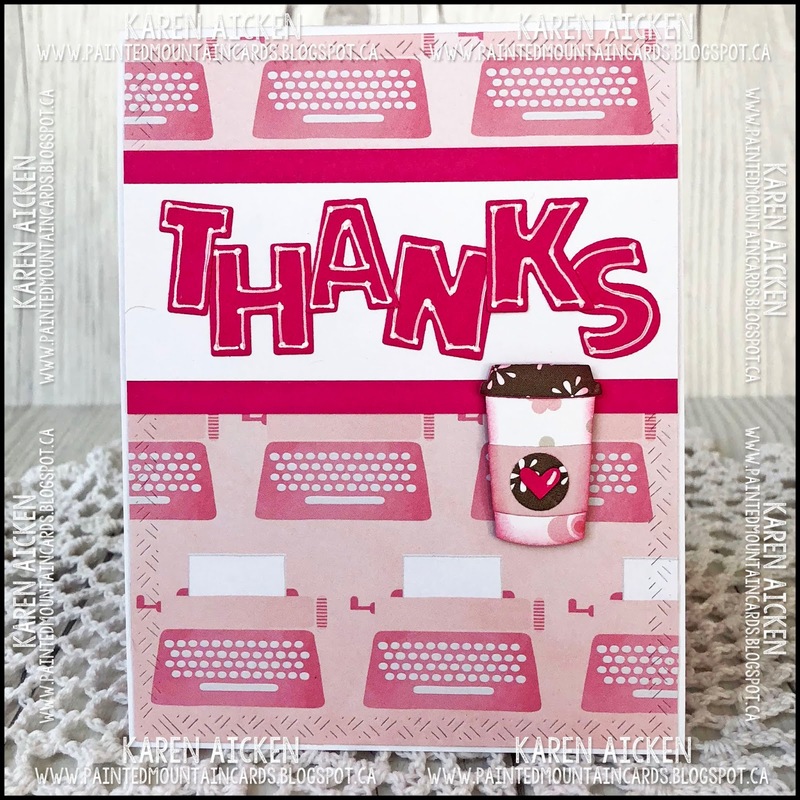 Remember to leave me a comment on my Blog Hop collaboration card (see HERE) for a chance to win a Cupcake Pop-Up die! I'll be drawing a name for the prize on May 24th.